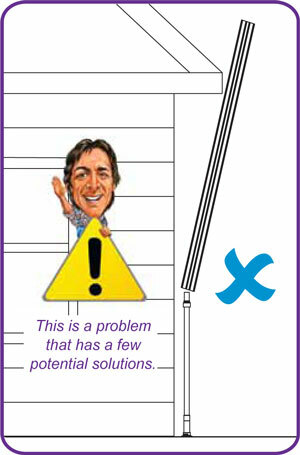 How do I deal with low hanging roof lines? 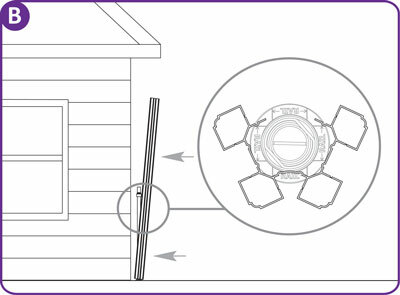 During your vinyl fence install, you may find that you are unable to sleeve your vinyl post over your anchor due to a low hanging roof line. You can work around this scenario in one of three ways. 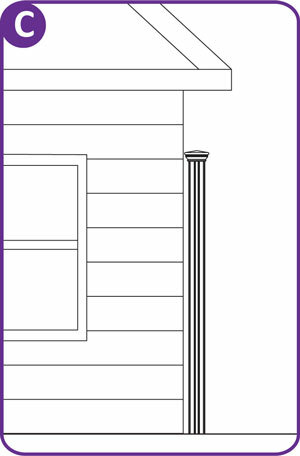 If possible, continue to pound the anchor lower into the ground just enough to accommodate the installation of the vinyl post over the top of the anchor and leveling donut. A, B. 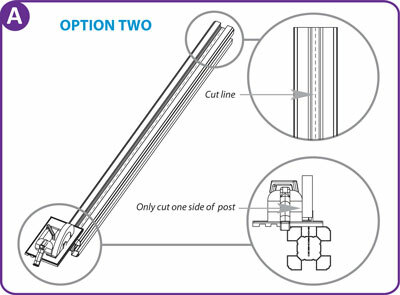 Cut open your vinyl post so it can wrap itself around your leveling donut and anchor positioner. A. Cut down a piece of wood to fit inside of your post. B. Cut a second piece of wood to fit between post and wall. Leave enough space for post cap to fit. C. Screw outer piece of wood to wall first. D. Secure into place as necessary.